The ‘one’ is out there for all. Don’t believe us? In a romantic context, we don’t believe us either. 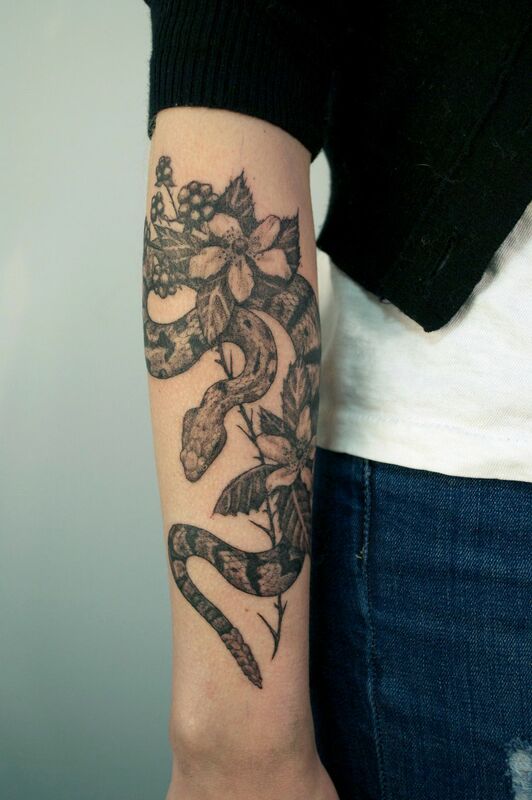 But when it comes to finding the ideal tattoo artist in Los Angeles—it’s definitely true. Trust us, she does exist. 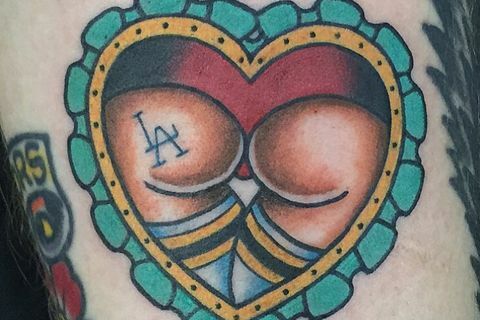 No matter what style you’re into, LA is home to some of the best lady tattoo artists in the country, perhaps the world. We’ve all heard of LA’s most famous: Kat Von D—a talented bombshell for sure. 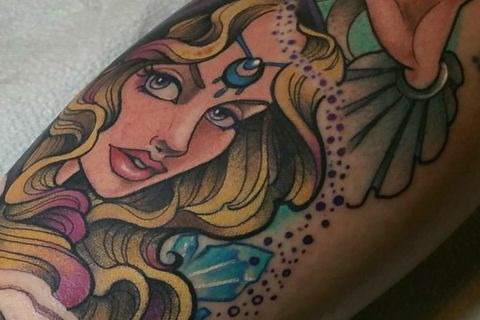 But, while the celebrity ink creative is busy launching a makeup line, there are plenty of other inspiring female tattoo artists to check out—especially since it can take up to a year to score a spot in Kat’s chair at High Voltage Tattoo. KB: It doesn't matter if you are female or male, a tattoo artist is an artist. 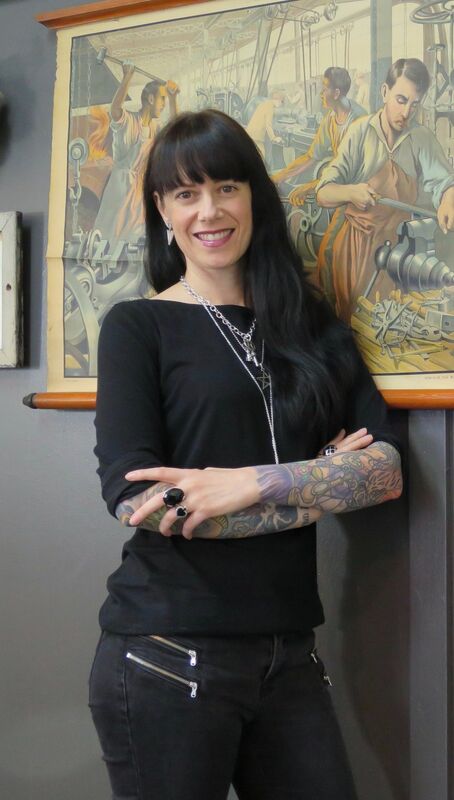 As one of the pioneers who broke the glass ceiling for female tattoo artists to come, Kari started tattooing at the age of 19 back in 1979. Almost four decades later, she still loves it. 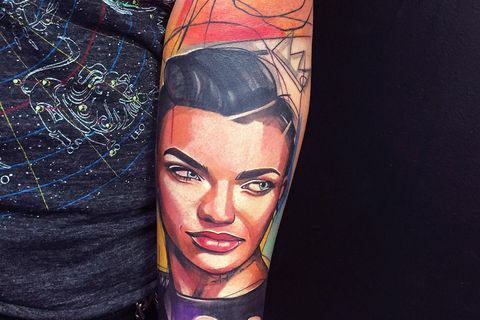 As the proud owner of Outer Limits Tattoo & Museum in Long Beach, America’s oldest tattoo parlor, (and one of the oldest shops in the world) she’s done all types of tattoos, though primarily enjoys black and gray realism. 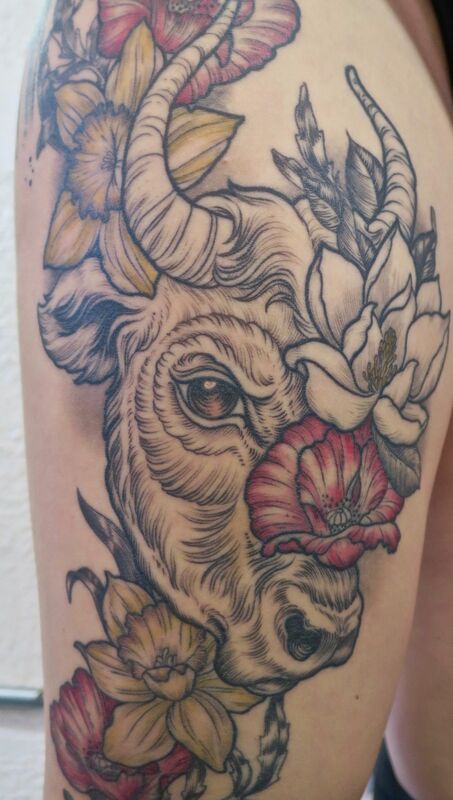 AM: Female tattoo artists are not only working in the industry but totally killing it! Alayna’s tattoo tip: Don’t bring extra people with you to your appointment, but do bring comfortable clothes! IB: I don't stick to any rules, I create freely what is appealing to me and what has an aesthetic quality to me. Since there were no apprenticeships growing up in Slovakia, she just started experimenting on friends and family. 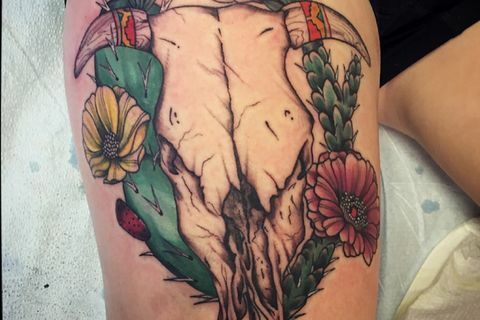 Totally self-taught, she’s now been tattooing for over 13 years and feels that learning the hard way has helped her style develop into what it is today. 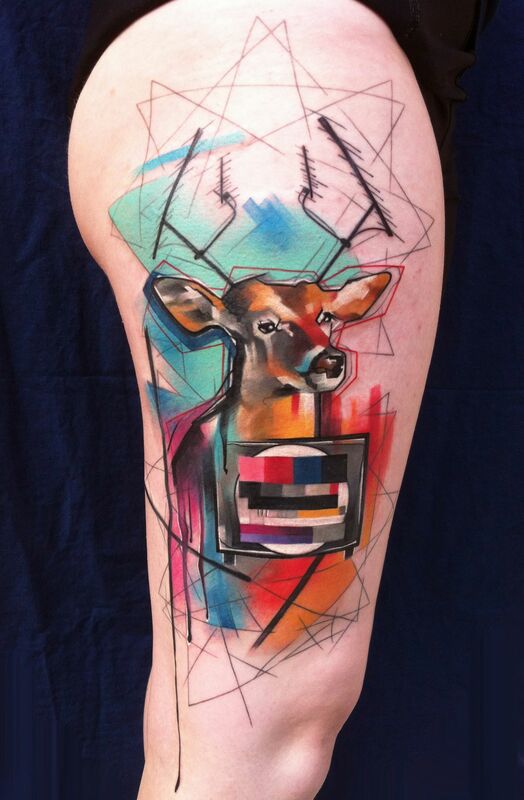 “My style of tattooing is not definite and is constantly changing. 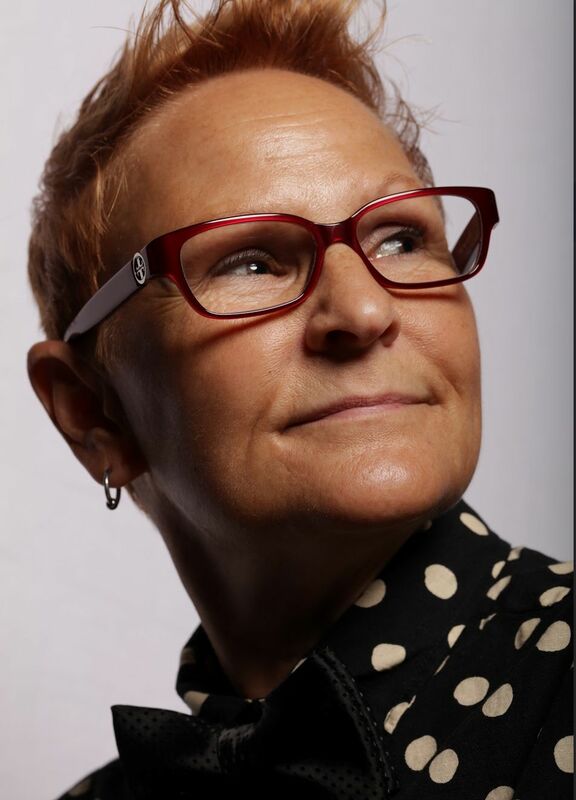 I am learning and experimenting constantly with different aspects of my creativity,” says Ivana. She has recently expanded her work to prints, for those who may be afraid of the permanent idea. 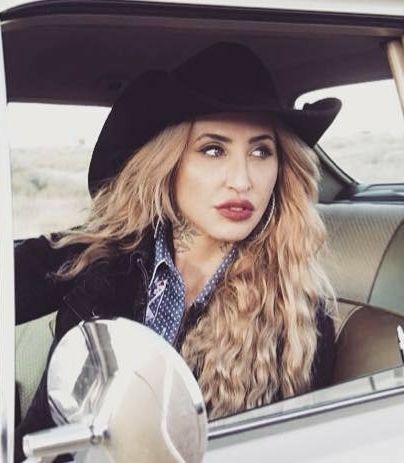 She says the pro of being a female tattoo artist is that a lot of women feel more comfortable getting tattooed by a woman, the con: it’s still a man’s world. 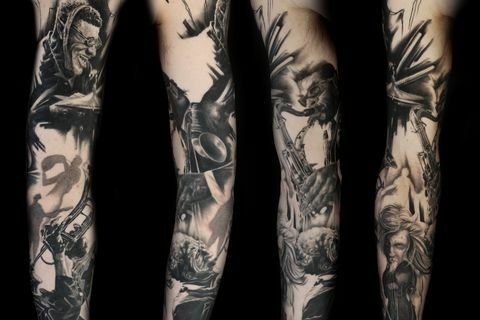 Ivana’s tattoo tip: Make sure you choose the right artist to mark your body ( in terms of style, consistency and experience). Be open-minded and let them to do their own thing; give them artistic freedom. JB: Find an artist you trust completely, and let them do what they do best. 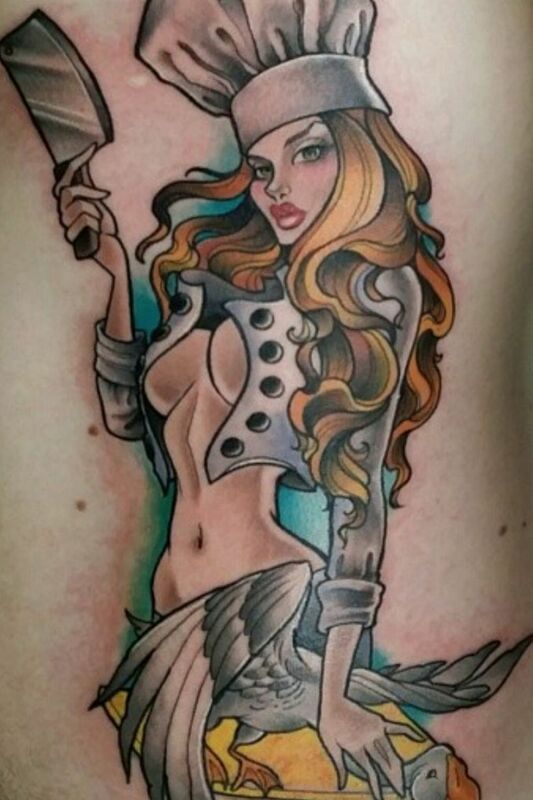 After apprenticing with Kevin Quinn, tattoo artist to the stars, Julie has been gun-wielding for five years. 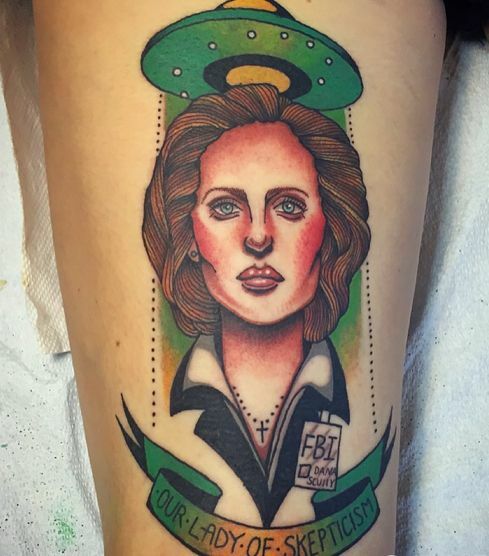 Her funniest tattoo request? X-File’s Agent Scully eating an alien-shaped cookie. 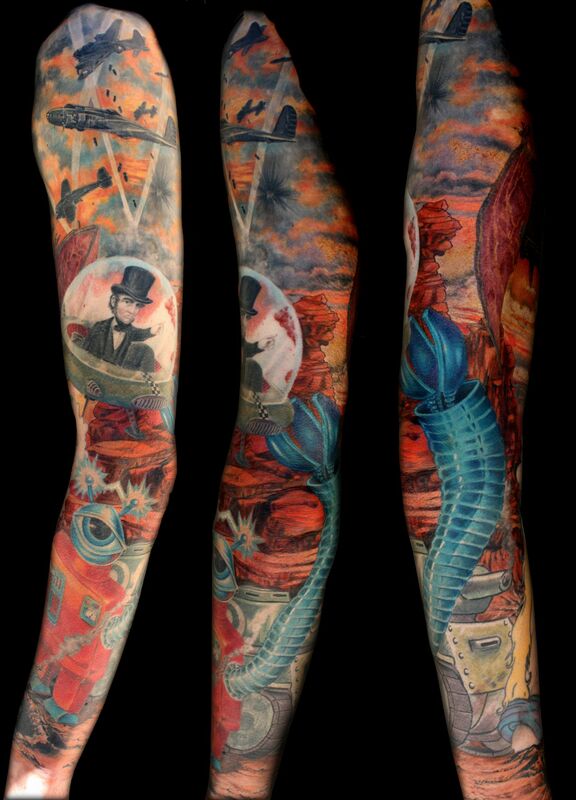 As of April 1st, the former stunt double for Charlton Heston will be inking at Rose & Dagger in Echo Park. 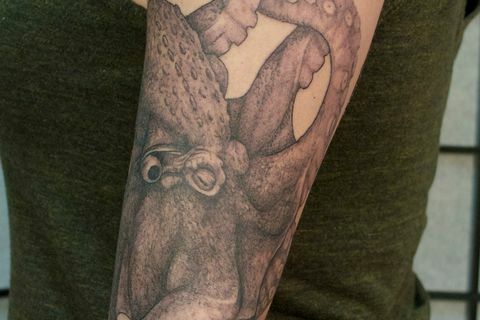 Julie’s tattoo tip: If you micro-manage your tattoo artist, it will kill the soul of the tattoo you hope to get. At age 18, Samantha started asking every tattoo shop in her neighborhood if they could teach her the art of tattooing. She ended up scoring two apprenticeships and is now a professional full-timer. Samantha says she primarily gets requests for flowers and animals, snakes especially. However, she does get the occasional odd request: A man being fed to a nest of baby pterodactyls by the mother pterodactyl. It was a full torso piece—the nest was around his belly button. Samantha’s tattoo tip: Eat a huge meal right before getting tattooed, and don't be early, it means more waiting. LW: I wasn't sure what I was getting into but it ended up being the best decision I ever made! 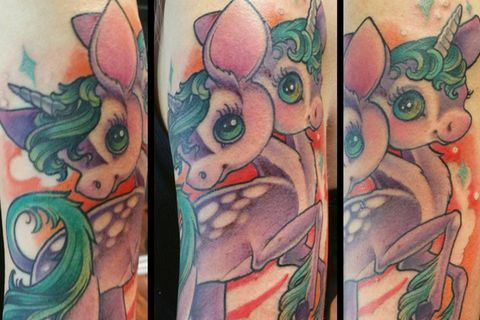 Laura quit college two years in for a tattoo apprenticeship. 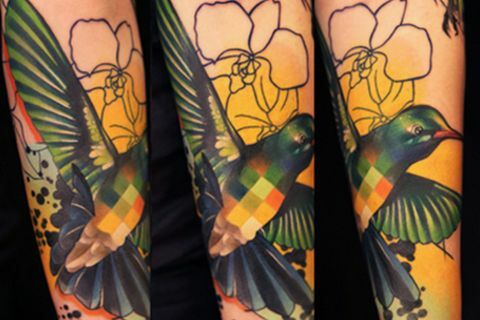 When she first started out as a tattoo artist, potential male clients would choose her based on her portfolio, only to change their minds when they realized she was a girl. But luckily, times have changed and that never happens anymore. Laura likes the challenge of continually having to draw things outside of her comfort zone to help her develop her skills as an artist. 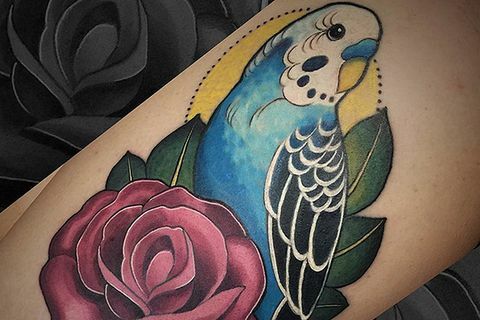 Laura’s tattoo tip: It blows my mind when someone is willing to spend hundreds of dollars on a pair of shoes but wants a bargain-basement tattoo.The world of tattoos is the same as any other: you get what you pay for. 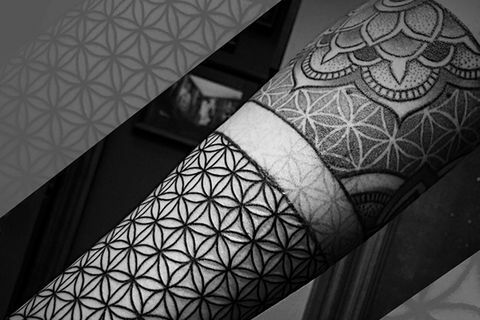 SL: Sometimes you just can’t beat a good flower tattoo; I love how they can sit on the body. When her tattoo artist saw some of her sketches back in the day, he offered to teach Sara the art of tattooing himself. 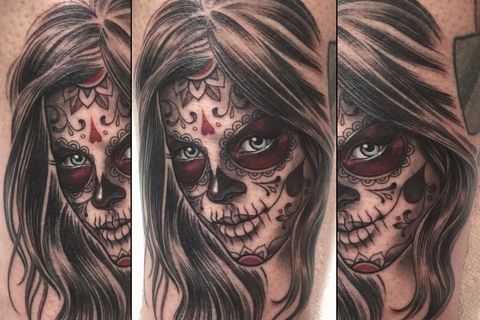 Twenty years later, Aussie artist Sara Lou still enjoys her work: “The best part of tattooing is just making people happy. 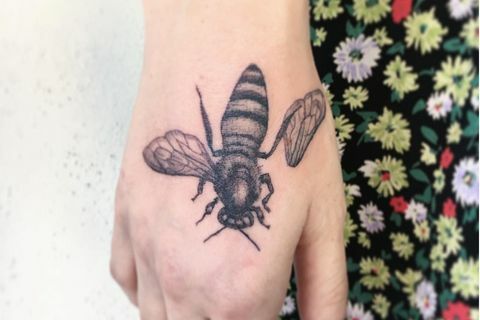 When I collaborate with a client and am able to convey to their skin what they see in their head through my drawings and machines, that gives me a great sense of achievement,” Sara says. 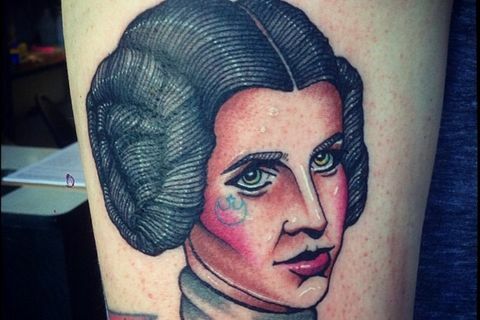 Sara’s tattoo tip: Find an artist you trust and take their advice. Most importantly, get something that will bring you joy. 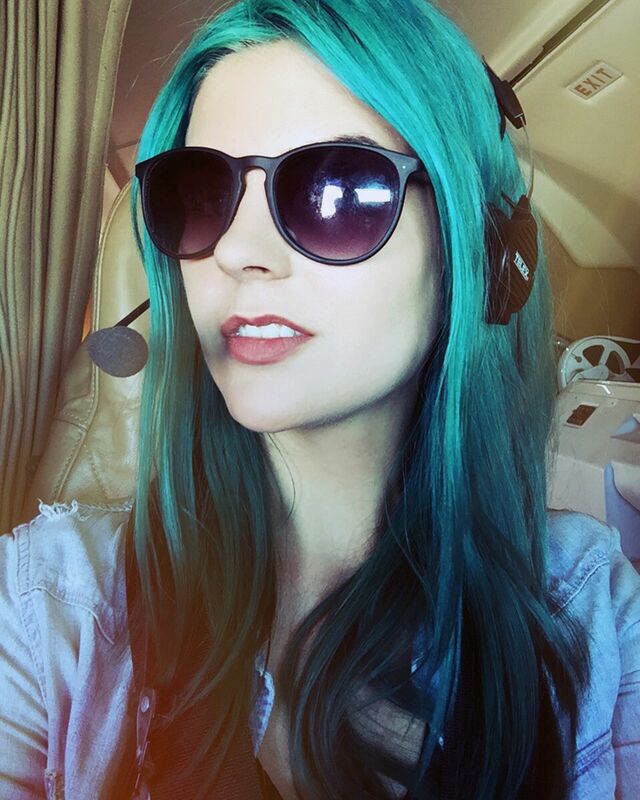 KC: This community is truly unique, full of so much love, support, and respect for fellow artists. It's unlike anything else and I'm so grateful to be able to be part of it all. 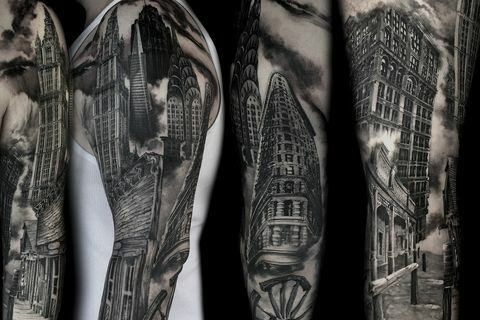 Karen started working at Psycho City Tattoo at the age of 19. Back then, you couldn’t simply ask for an apprenticeship, you had to prove to the artists you could bring value to the community. Luckily for Karen, Psycho City owners Mike and Jojo deemed her worthy—an honor she is still thankful for. 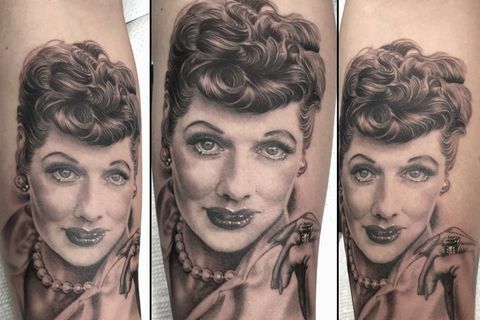 Now working at True Tattoo in Hollywood, Karen says she tries her best to work with whatever style the client requests, though still a lover of traditional as well as black and gray. 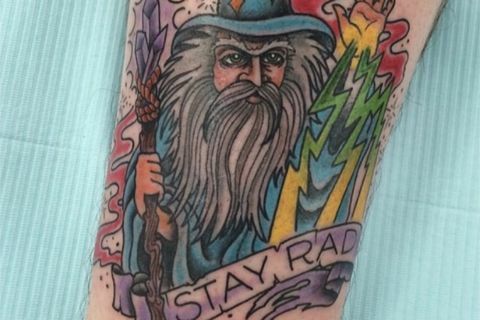 Karen’s tattoo tip: Choose something that you actually like that you would love to wear on your body 'till you die, not just whatever trendy tattoo some celebrity got, it will eventually be the "tramp stamp" of your generation. 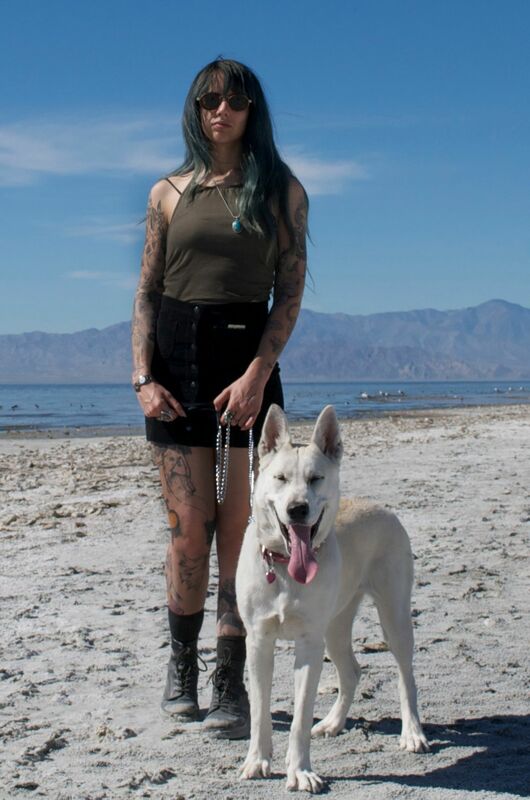 Alethea Cho, AKA Lady Lovesblood, has nine tattoos and counting. Her advice? Think about how your tattoo will look on your naked self before visiting one of these amazing ladies for ink. 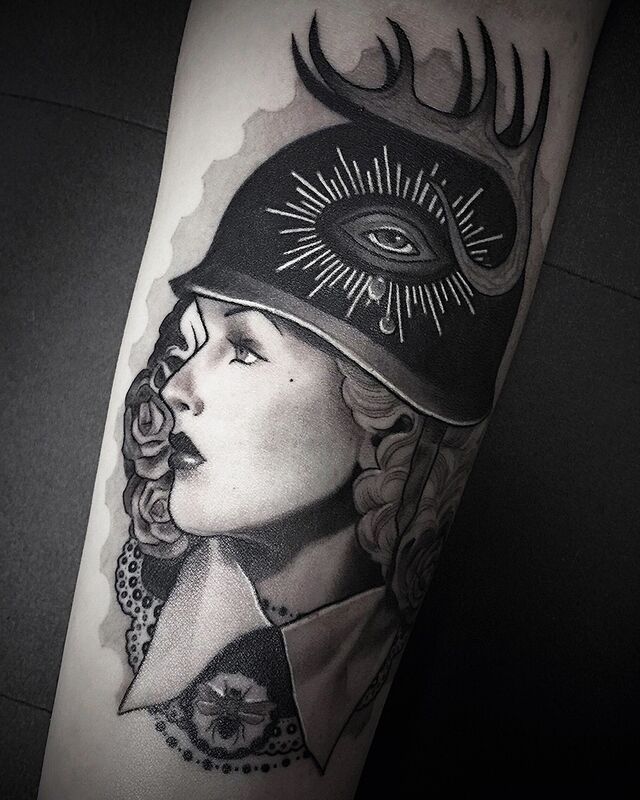 Find out about her ‘inkage’ on Twitter @Lady_Lovesblood or Instagram @LadyLovesblood.